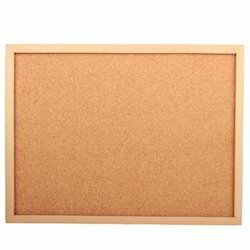 Our product range includes a wide range of long cork memo boards and medium cork memo boards. 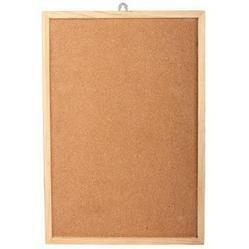 We are instrumental in offering a comprehensive range of Long Cork Memo Boards. The offered products are made by highly skilled professionals using certified quality factory material that is procured from the trusted vendor of the market as per the laid industry norms. We are offering this product in different sizes and can be designed as per the specific requirements of the clients at the highly competitive market price. Cork is stain and water resistant. Cork is very easy to maintain as new, just need to clean with a damp soft cloth. We are highly experienced firm instrumental in providing innovative designs of Medium Cork Memo Boards. Demanded widely at schools, colleges, homes and offices the offered boards are made from finest grade raw material that is 100% animal free. We stock a vast collection of attractive designs and sizes of memo boards that are made by our skilled craftsmen. Featuring a sturdy frame and robust hanger these easy to mount memo boards are water resistant and suitable for all weathers. Looking for Cork Stationery Memo Boards ?